I spoke about oral hygiene a few months ago and it was received well, so given the opportunity to review manual toothbrush from a brand, I've not heard of yet. I thought what harm can it do. Since September and receiving my year supply, I've hardly switched back besides for when I was away (couldn't find the brush holder) yet I've not reverted back, honestly it surprised me. I've got lazy, once you have a brush that ends up doing all that work for you, why go back? 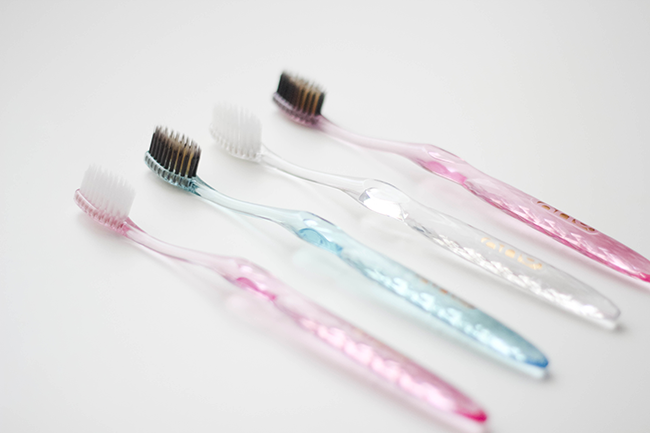 Nano-B is a brand of antibacterial toothbrushes, you have two different bristle coatings to choose from, silver or charcoal & gold. The design of these brushes are slim, transparent with a range of crystal colours. Nano-B Silver (nicknamed "silver bullet") bristles are design for those who want to thorough cleaning experience. 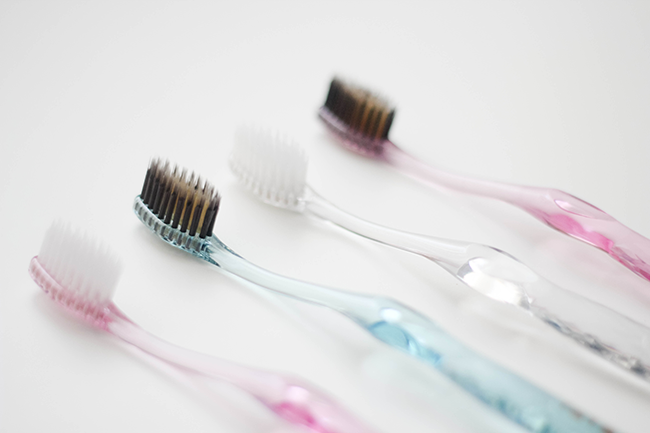 With natural bacteria fighting bristles and the head is small on both brushes which means they can reach the toughest areas of the mouth like the back of the mouth. Eliminating 99.9% of bacteria. While the Nano-B Charcoal & Gold is useful for those of us who are wanting to whiten our teeth. Merging the antibacterial properties of the gold bristles with the natural whitening properties of bamboo charcoal. If the teeth are stained or discoloured this will be ideal. The latter is the one I have been using & I keep on saying, it's amazing how the brush is quite firm with it's shape but still the bristles are quite soft. It reaches all the way back to my wisdom teeth that are still painfully coming through and makes sure that it gets the food removed. Can I comment on teeth whitening - I'm not sure if honest. It's heading into the second month of usage so it might take a bit longer than that to see a change. Wonderful pictures and review LaaLaa!